Subtle groans and grumbling are ignored as someone is chosen to go first, and the majority of the ‘thankful’ expressions are delivered with hesitant and halting self-consciousness. Public speaking aside, why does the prospect of expressing gratitude produce such consternation? One possibility is a diametrical perspective of having everything or nothing to be thankful for. The person who is thankful for ‘everything’ fails to discriminate truly significant life experiences. 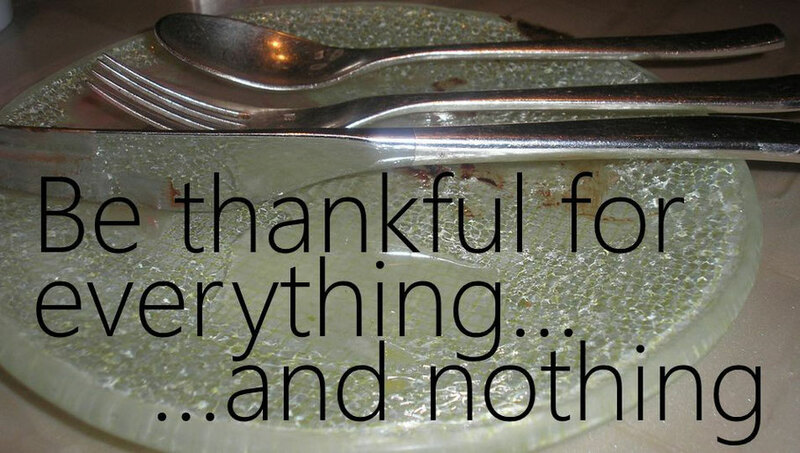 The person who is thankful for ‘nothing’ does not acknowledge that things could be infinitely worse. The key to one’s thankfulness is simply perspective. Sometimes the challenge is to set your sights a little lower. Set your sights on the stars and shoot for the moon. Then, don’t fret the things you can’t control. Rather, take full advantage of the things you CAN control. Acknowledge both personal strengths and weaknesses; using your strengths productively, and strategizing ways to strengthen your weaknesses. Keep your own score. When you compete with yourself simply to be better, do better, no one else need know whether or not you have been successful at achieving your goals. And if you are unsuccessful be thankful that you can always try again; or analyze your progress and reset your goals. A less goal-oriented approach to thankfulness is to simply acknowledge the circle of life. Births and deaths in particular, but also the rites and milestones that accompany aging. In other words be thankful for life itself, for both the struggles and successes, for the evolution of being and self. That may sound suspiciously close to thankfulness for ‘everything’, but the real goal is to become mindful of how each experience comprising your life passages has molded you into the person you currently are. Since that may result in too long a list to recite at the dinner table, stop being thankful for anything specific and just accept life.